Our skin changes over time, losing its youthful look, and giving way to brown spots, texture irregularity, wrinkles and laxity. 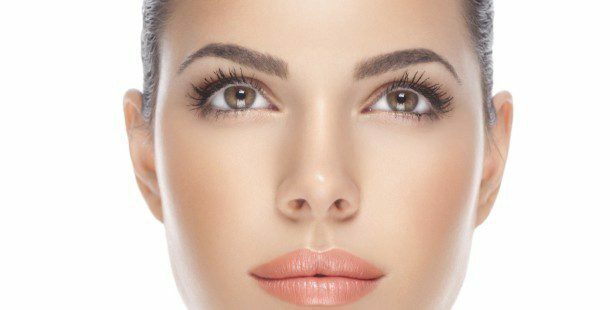 In recent years there has been a growing number of aesthetic procedures to treat the skin. While traditional CO2 resurfacing had been the gold standard for facial resurfacing and wrinkle reduction, the revolutionary technology of Fractionated CO2 with its excellent results, much lower downtime and risks has become the new leader in the field of laser resurfacing techniques. As a Facial Plastic Surgeon specializing exclusively in cosmetic procedures of the face, Dr. Bassichis offers this effective resurfacing rejuvenation to his patients. Combining the safety of fractionated laser therapy with the unparalleled efficacy of CO2 laser treatments, fractionated CO2 laser yields remarkable, long-lasting results in an office-based or outpatient procedure with minimal recovery time. In fact, clinical research studies have demonstrated less total redness, less total downtime, less total swelling with significant changes in collagen and elastin, and improved overall texture, wrinkle and scar appearances from fractionated CO2 therapy. Fractionated CO2 allows Dr. Bassichis to turn back time with dramatic improvements in facial skin tone, texture, and tightening. With this revolutionary Fractionated CO2, Dr. Bassichis offers state-of-the-art technology for treating moderate to severe wrinkles, age spots, brown spots, acne scarring and other facial irregularities. The fractionated approach utilizes the body’s natural healing response in a unique way. This innovative technology allows the high-energy beams of laser light to form a grid pattern of tiny laser wounds evenly spaced across the skin. With fractionated laser treatments, only a fraction of the skin’s surface is treated by the laser, leaving small islands of untreated skin making the healing process faster and enabling our patients to return to normal activities much sooner. In fact, 60-80% of the skin surface remains untreated, however, with the grid treatment pattern the heat energy of the laser is able to uniformly heat the collagen layer beneath the skin surface. This is the essence of why this Fractionated CO2 technology is so effective: the treatment is fractionated at the skin surface to promote good healing, but has all the power of CO2 underneath to give great results. This breakthrough in science and technology allows patients to take advantage of the incredible results from traditional CO2 laser resurfacing while greatly minimizing the risks and downtime of traditional CO2 lasers. 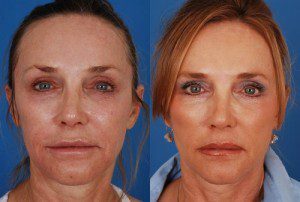 Within a week there is minimal evidence of having undergone the fractionated CO2 procedure outside of having new, tighter appearing, fresh skin that continues to improve over the next several months with formation of new underlying collagen. The results of fractionated CO2 laser treatment are long-term and, with proper sun protection, can persist for many years. As well, there is early clinical evidence that suggests that CO2 laser therapy can minimize risk of future development of skin cancers by helping to clear up precancerous lesions (called actinic keratoses) caused by excess sun exposure. Most effects of treatment become visible right away, whereas others – such as new collagen formation – build up gradually and become more evident over time. Therefore, most people look even better 3-6 months after the procedure. WHAT CAN YOU EXPECT FROM FRACTIONATED CO2 LASER? This innovative laser offers the latest in skin resurfacing technology. Based on your clinical needs, our Facial Plastic Surgeon Dr. Bassichis can vary the power of the laser to customize your treatment from a more superficial peel to a deeper resurfacing. At Advanced, your safety and comfort with the procedure are of primary importance and we will ensure that you are comfortable throughout your procedure. In terms of results, you can expect skin renewal within 7 days, and skin tightening (maximum collagen production) in 3-6 months. Our patients are able to return to their normal routine in a week with make-up. The result is a significantly improved overall appearance of the treated skin. Wrinkles, irregularities, and scars are substantially diminished and skin color is more uniform, resulting in a very natural rejuvenated outcome. Healing after this treatment is rapid with minimal care required for a few days and redness of the treated skin generally resolving over the subsequent week. The severe oozing and crusting from the old type of traditional CO2 is not a part of the healing process with Fractionated CO2 treatments. As well, Dr. Bassichis will prescribe a healing regimen to optimize your safe recovery from Fractionated CO2, and maximize your results. Most patients’ appearance will continue to improve for months after this unique laser therapy as new collagen and elastin formation continue to rejuvenate your appearance. Specializing exclusively in Facial Plastic Surgery, Dr. Bassichis is pleased to offer the new gold standard in Laser Resurfacing with our state of the art equipment and premier surgical approach. We invite you to have a complimentary consultation with Dr. Bassichis to learn more about Fractionated CO2 at the ADVANCED FACIAL PLASTIC SURGERY CENTER. Please click on the photo below to go to our extensive PHOTO GALLERY of Dr. Bassichis’ FRACTIONATED CO2 LASER RESURFACING results.